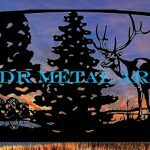 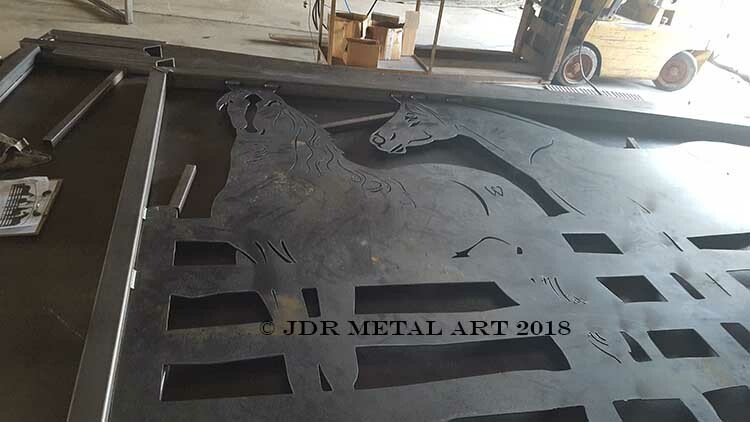 Washington Metal Art Driveway Gates - Custom Horse Ranch Theme - Custom Driveway Gates - Iron Steel & Aluminum - JDR Metal Art - FREE Standard Shipping! 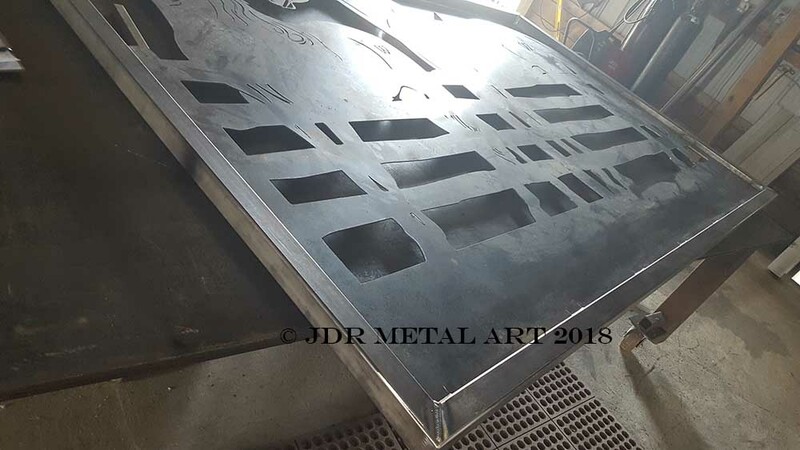 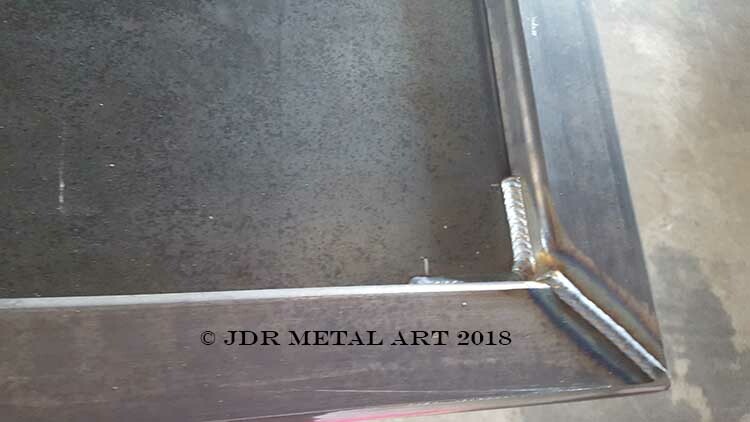 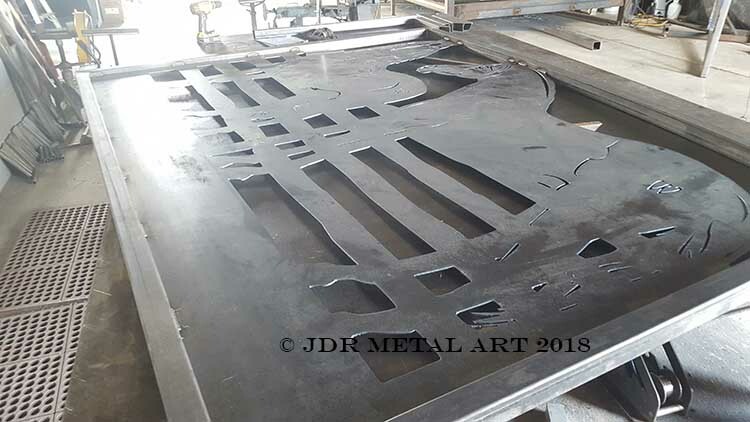 Here’s a metal art driveway gate project currently being built and then shipped to Washington state. 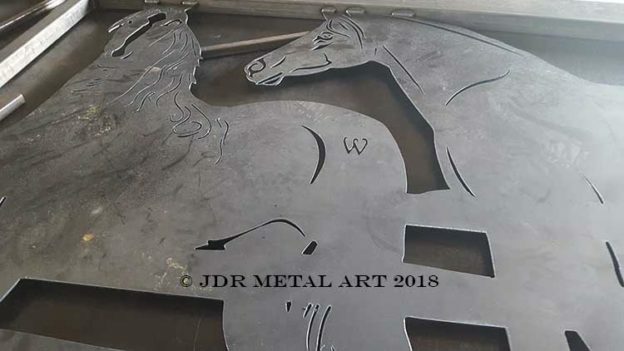 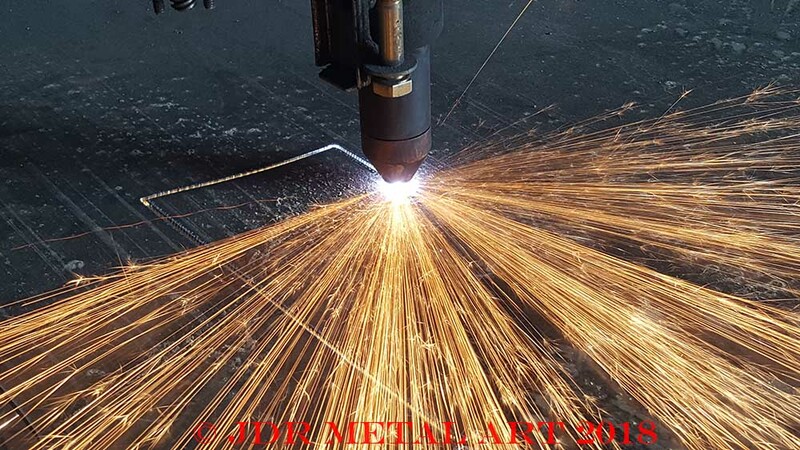 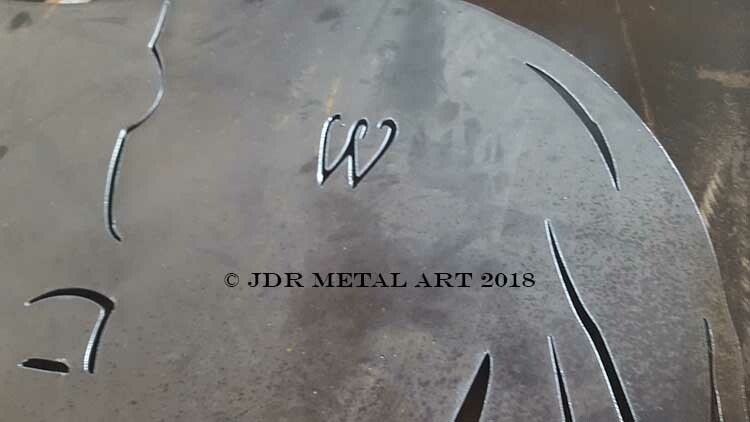 The metal artwork was cut on my newly built plasma cutting machine. 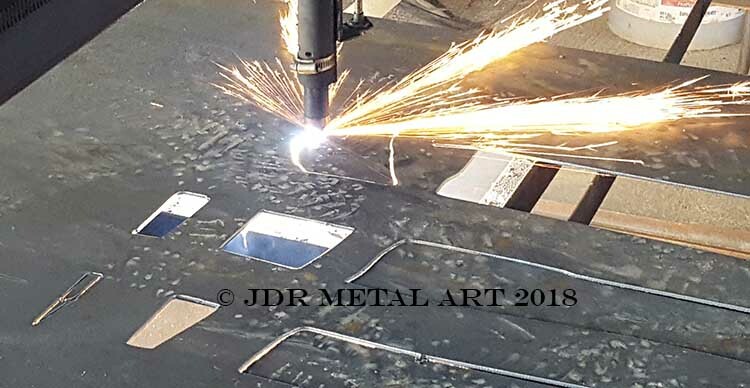 The plasma table has been up and running reliably for about a month now and maintains accuracy to the width of a hair, or about three thousandths of an inch. 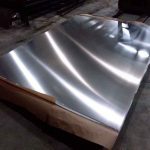 Contact Form – Let Us Give You a Quote Today!